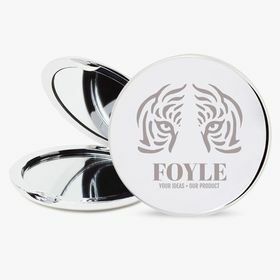 Personalised logo pocket mirrors will reflect well on your brand. At Camaloon, you will find all kinds of promotional products, so that there is something for all scenarios. Choose from a variety of sizes and finishes that best suit your brand and logo design. Once the design is finished it will be checked over and once they have been printed they will be checked over once again to ensure final quality. The next step will be to simple decide the size of order you would like to make. Receive your personalised logo pocket mirrors and start using them in all the creative ways you can imagine! Pocket mirrors look even better as personalised logo pocket mirrors. Have your logo on an item that your clients use daily and keep with them in their day to day. 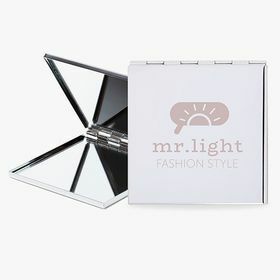 The best way to make sure that you stay in the minds of your clients is to put your logo in their hands, which is exactly what you can so with personalised logo pocket mirrors. 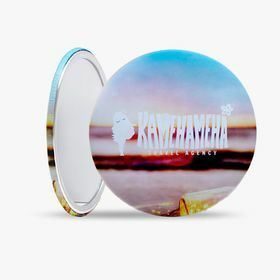 Make them your business mirrors that you hand out at any promotional event you can involve yourself in as well as gifting to some special customers to show your appreciation for their business. There are many ways to ensure that the customer will bank your brand in their mind.